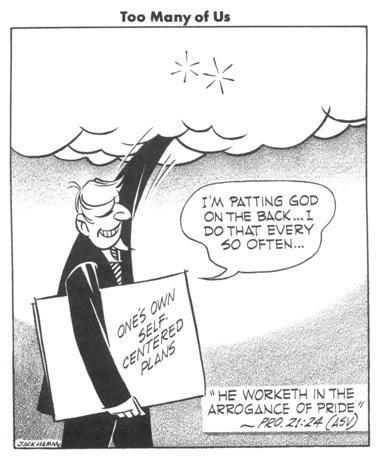 Old Testament - Allright, I don't know about you, but I'm seeing quite a bit of pride flowing around in Judges recently - particularly in today's readings. And we all know the old saying, "Pride goeth before the fall." And indeed we are seeing people fall after their prideful fits. In fact, Satan himself was guilty of the sin of Pride. He wanted to be equal with God. He thought he was all that and a bag-o-chips. But he ain't. Never will be. 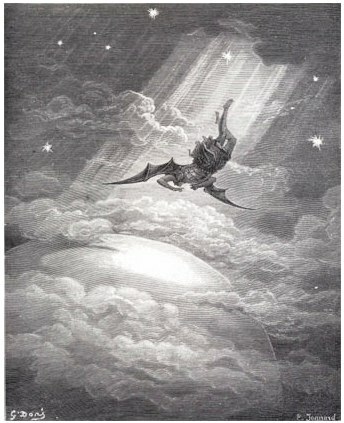 So, maybe the saying in regards to Satan certainly is "Pride goeth before the Fall." And that's Fall with a capital "F" unfortunately. 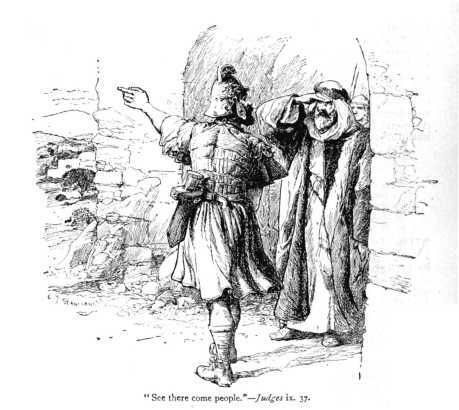 We saw Abimelech's deadly pride in yesterday's readings when he had killed 70 of Gideon's sons - his half brothers - so that he could rule the people of Schechem. Pride & Power. Deadly combination then - and still is today. We then read Jotham's parable in yesterday's readings and see that his words came true in today's readings. I am amazed at the depth of Abimelech's sin of pride even in his dying moment when we read in chapter 9 verses 52 through 54 today: "Abimelech followed them to attack the tower. But as he prepared to set fire to the entrance, a woman on the roof threw down a millstone that landed on Abimelech's head and crushed his skull. He said to his young armor bearer, "Draw your sword and kill me! Don't let it be said that a woman killed Abimelech!"" Wow... Now - don't get me wrong. I think for me to say that Abimelech was completely prideful and that I am not is the same sin - pride. It would be prideful for me to put myself above Abimelech. He's not a lot different than we are today. I think pride is something we all probably struggle with at some level or at some point in our lives. I know I do. We are all sinners. And as I read about Abimelech in Judges today - or reflect upon Satan's Fall - I realize that pride is a sin that we really must vigilantly watch our entire lives. If we don't, I think we can get blinded to the fact that we're prideful - and we'll say dumb things like "don't let it be said that a woman killed (fill in your name as if you were to say this about yourself in the 3rd person, cuz that's how you refer to yourself when you are prideful)!" :) Pride kills... let us pray for humility in our lives today. God can redeem and heal us from our pride! Even poor Gaal - who I think was trying to do the right thing fell prey to pride as we see in verse 29 today - "If I were in charge, I would get rid of Abimelech. I would say to him, `Get some more soldiers, and come out and fight!'"" Unfortunately, Gaal got his wish and it did not turn out well for him. Pride goeth before the fall... An image is below for verses 37 & 38 - "But again Gaal said, "No, people are coming down from the hills. And another group is coming down the road past the Diviners' Oak." Then Zebul turned on him triumphantly. "Now where is that big mouth of yours?" he demanded. "Wasn't it you that said, `Who is Abimelech, and why should we be his servants?' The men you mocked are right outside the city! Go out and fight them!" 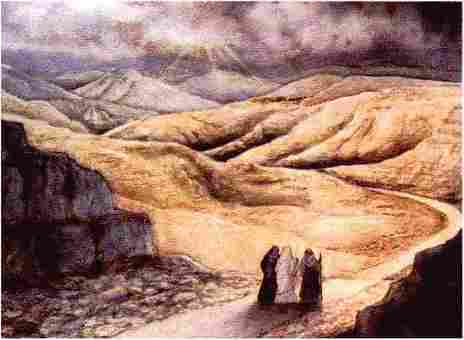 The Road to Emmaus! This is a phenomenal portion of the Bible. I actually heard a sermon on this passage of the Bible not too long ago - just after Easter. And the pastor said that each of us as Christians are journeying along the Road to Emmaus. And Jesus is coming up to walk beside us. He is with us. And all too often we do not realize that Jesus is with us! Our eyes are not opened. 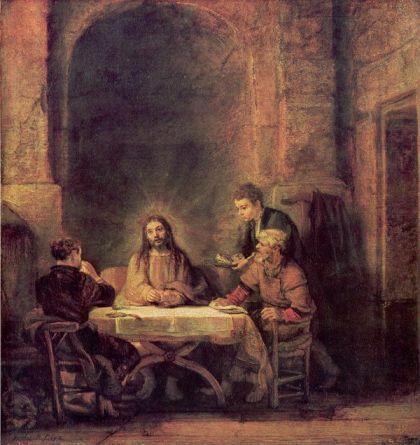 The pastor encouraged us to open our eyes - through prayer, reading God's Word, and reflection on God's Word - and realize that Jesus is journeying on the road to Emmaus with us. Let us not miss him. Do you believe that Jesus is journeying along side you in your Walk today? Yes, at this very moment, is Jesus with you? I love Jesus' first words to all of the disciples in verse 36 - ""Peace be with you."" Wow... how simple - and profound - and true! Jesus is the Prince of Peace. He brings peace into our lives, minds and hearts if we will let him in. 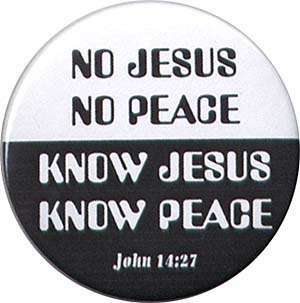 Do you believe that Jesus' words to you at this very moment might be - "Peace be with you." Will you accept the heavenly peace that can only come from Jesus? Verses 46 & 47 today sum up the Gospel message very nicely - "And Jesus said, "Yes, it was written long ago that the Messiah must suffer and die and rise again from the dead on the third day. 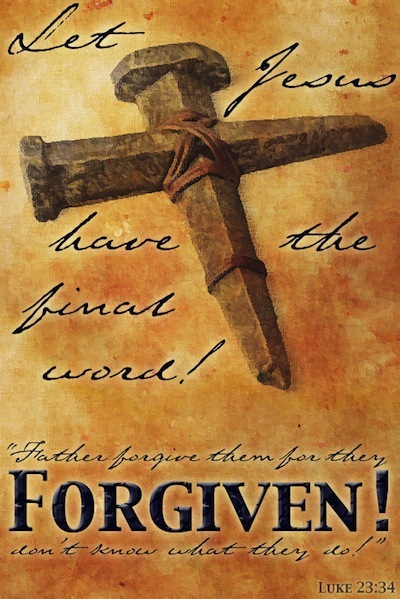 With my authority, take this message of repentance to all the nations, beginning in Jerusalem: `There is forgiveness of sins for all who turn to me.'" Do you believe this to be true? Bible.org's commentary on Luke chapter 24 titled "Christ our Companion" is at this link and commentary titled "From Invisibility to Invincibility" is at this link and commentary titled "The Ascension" is at this link. Psalms - Today we read Psalm 100! I will copy this short Psalm below. Does this Psalm speak to you? Do you feel joy while reading this song? 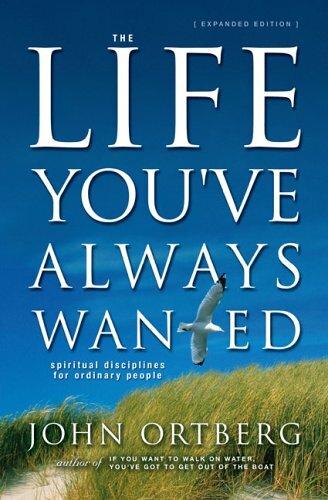 I have read much of “The Life You’ve Always Wanted” by John Ortberg (a great book!) and he has a great chapter on JOY being a spiritual discipline. It is amazing to realize that Joy is a gift from God we should be experiencing every day. I pray you are experiencing joy as a spiritual discipline! Think this Psalmist in Psalm 100 was? When is the last time you shouted for joy to God? Do you regularly worship God with gladness? 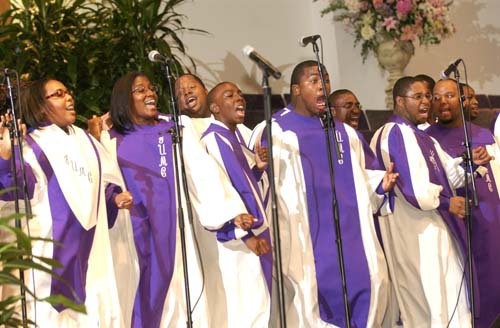 Do you come before our Heavenly Father with joyful songs? Do you know that you are God’s? Is this fact alone worth being joyful about each and every day? Proverbs - How's this for a sobering Proverb in verse 12 today - "There is a path before each person that seems right, but it ends in death." Things that make you go hmmm.... think this Proverb is true? I do. I know it is. And I think it is a Proverb that should make each of us stop and think about the path we are on now. Is it the path God wants us to be on? Or is it perhaps a path that looks attractive to the world (remember the Fallen world info at the beginning of this post...)? 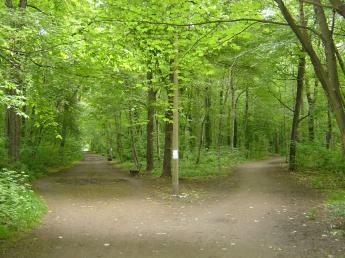 We all have paths to choose in our life. Many times over we will have to choose which path to walk upon. Are we walking upon God's path for us toward light and life? Worship God: Psalm 100 reminds me of Darlene Zsech's song "Shout to the Lord:"
Have you shouted to the Lord? Click here and shout! Prayer Point: Pray that you are walking on the Narrow Path through the Narrow Gate toward your Lord and Savior Jesus Christ. Pray that you are not walking along the world's path, which seems right, but leads to death. Comments from You & Questions of the Day: Based on my comments above related to our readings in Judges, have you ever struggled with pride? Do you think pride might be an ongoing struggle for most of us (all of us?) for most of (all of?) our lives? Also, what verses or insights stand out to you in today's readings? Please post up by clicking on the "Comments" link below! How long does it take for God’s vengeance to rear it’s head? How long does it take a known murderer, appointed by his “relatives” to reap the rewards of his sin? In God’s Perfect Timing. In today’s reading we see that three years was all it took for Abimelech to be destroyed by the very people who placed him in power, each party, leadership and those he lead, were “taken out” by each other. Within the narrative, we see each trying to get back at each other, a one-up-menship, if you will; but, it was God’s timing that allowed each group to keep their appointment with judgment. In the true meaning of the literary tragedy, both the character flaws of Abimelech and the people who appointed them led to their own self-destruction. Without God the only character is bad character. Selfish and self-centered the people had picked a ruler that was related by DNA only and unfit for the job. Yet God, in spite of their flaws, worked out everything for his purpose. Abimelech’s story and the people who put him in power is going on today. We take men who are “bramble bushes” promising shade where there can never be shade because of bad character, and turn on them when we don’t get what we want. Men/women who never had it within them to met our expectations because they are not God, despite our effort to make them a god. We go along to get along in hopes that we will grab the crumbs from the tyrants table if we join the posse and muscle our way to the front, near our god. We remain loyal to something and someone that is unloyal to any kind of righteous principle and are surprised when we find no stability. And when our expectations are not met, we turn on our “false” god and rage, while shaking our fist at God. Whom have I attached myself too, whom have I made an alliance with, whom have I submitted myself too who is not God and never can be?